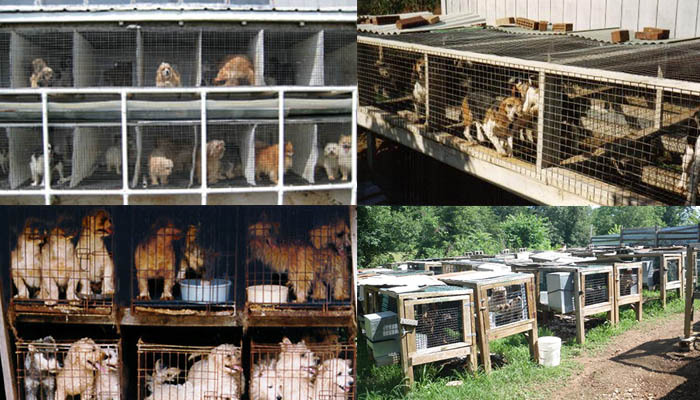 Backyard Breeders and Puppy Mill Buyers: JUST STOP! This is a topic I’m passionate about, that I’m driven to fight for. The only way to end this trend is to make the people who support it aware that they are supporting the continued breeding of sick and ill puppies. As much as I support rescue I also support responsible breeders who take time to produce quality, healthy puppies. This could easily turn into a ramble but I’m striving now to reach out to the public and explain the differences between a reputable breeder vs. puppy mill breeder vs. backyard breeder. If you are considering buying a puppy do not feel that you are inconveniencing a breeder by asking them questions. And if they act like a jerk about your inquiries? Move on to your next option because dealing with them in the future could be somewhat of a hassle. What questions should you ask the breeder? What is their policy if you can no longer keep the puppy? 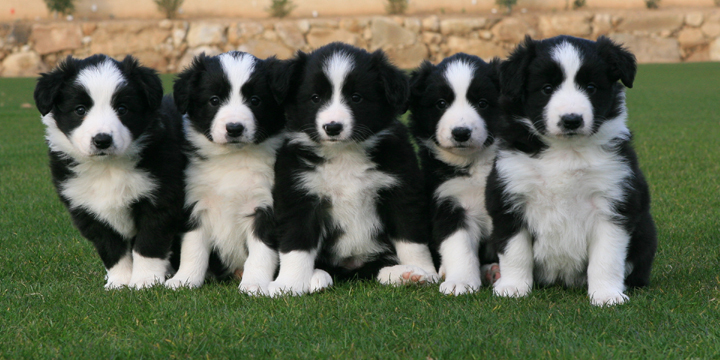 Answer: The best breeders consider their puppies family and will ask that you return the puppy to them. What is their health guarantee on their puppies? Answer: All breeding stock should have had hips/eyes checked at the very least but research your breed and see what testing is recommended. In border collies many will have elbows checked as well. Have the puppies had their age appropriate vaccinations and worming? How long have you bred dogs? Answer: The longer that a person has been breeding a dog, the better. It shows commitment and dedication to improving the breed. If they have not been breeding dogs for very long ask their goals and reason for breeding. How long have they been living with this breed? Answer: Typically you want a breeder who has been working and living with their chosen breed for years. There are a number of people who compete and see a quality in the breed they want to refine. Answer: Yes. Puppies who have been socialized extensively (and the goal should be 100 people before the age of 8 weeks) will make your puppy a happy, more well-adjusted companion to live with. What have the puppies been exposed to? Answer: This has more to due to the sights/sounds/experiences that the puppies encounter. Similar to socialization your puppy should come into contact with a variety of noises, textures, sights, smells, and obstacles. This not only exposes your puppy to day-to-day living but will also prepare them for the adventures of the world outside their home. Answer: Breeders who care for their puppies and breeding stock should have no problem showing you where their dogs/puppies are kept, what their day-to-day living includes. Answer: After contacting past puppy buyers the breeder should have no problem giving you the name, numbers, and information the breeder should have no problem supplying you this information. Another good reference would be the veterinarian who will give an honest, unbiased opinion. Answer: All breeders should have a contract: this not only protects them but it should also outline the guarantees and services that are offered once the puppy is under your care. Some breeders have a limited registration contract which specifies that you spay/neuter your dog. Breeders who are hesitant or unwilling to draw up a contract might have something to hide or are unwilling to take responsibility for their puppies. A reputable breeder will screen their prospective puppy buyers to place their puppies in the best possible homes. Does the breeder belong to the breed club/Kennel Club? Answer: The dogs under the breeder should be able to produce registration to either the parent club/AKC and in many cases the dogs will be dual registered. The AKC has a Breeder of Merit award it gives to breeders after meeting specific requirements. A responsible breeder will also want to ask you questions and may request references. Responsible rescues will ask the same and have you complete an adoption application before contacting you. So, the problem is this: by backyard breeders and puppy mills continuing their bad practices they are placing unhealthy puppies into homes. By breeders not taking responsibility of their puppies they are allowing families to purchase their puppies and throw them into shelters when the family cannot handle the energy/personality once their puppy grows up. Adopt first or purchase from a responsible breeder. Give the dog some space! 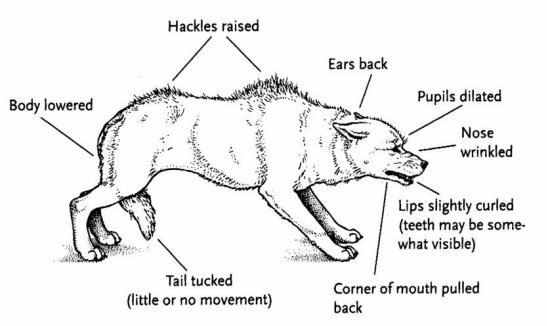 Body language… the key to understanding your dog. Every day owners and strangers mistaken the body language of their dog and sometimes irreversible damage is done. With Michaux I never worried about her reaction with people: when we go to the dog park Michaux wants to gossip with the humans instead of sniffing butts with the other dogs. Io, on the other hand, was a different story. Up until about 1.5 years of age she loved everyone- and everyone loved her! For a border collie she was extremely petite, 26 pounds and knee tall, and everyone wanted to say hello to her wiggling hind parts. When Io hit her full maturity she began to notice something and the only fault that came with it was her herding inheritance: crazy children under 6 translated in her mind to stupid sheep. 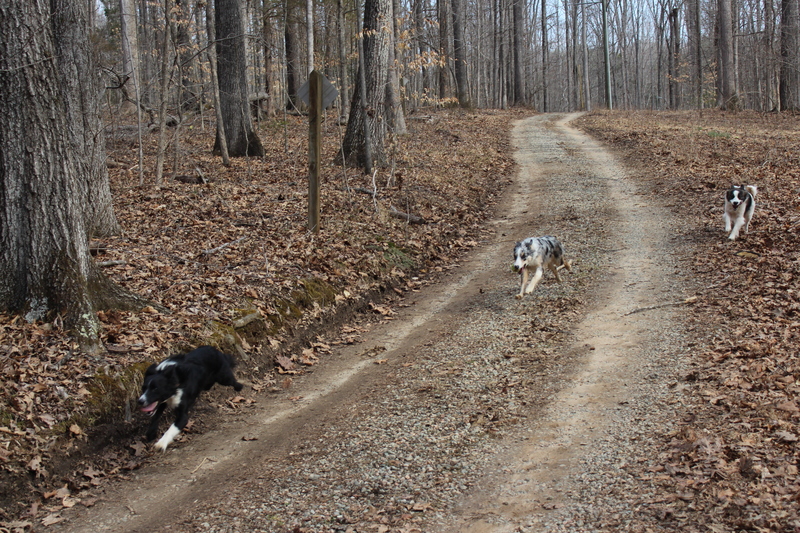 The acute attention changed from submissive adoration to working border collie. On a few occasions she would lunge at children but I had the forethought to keep her under control. I began working with her, forcing her to sit in parks where children ran around and screamed and at 3.5 years of age she seems to have mellowed out with them. Though Io was never categorized as aggression many people would allow their children to rush up to her and STICK THEIR FACES IN HER FACE!! People are making strides to enforce certain precautions to not only to ensure the safety of their dog but to alert the people around them that they need space. Called “The Yellow Dog Project” it is designed to alert people that the dog needs space. 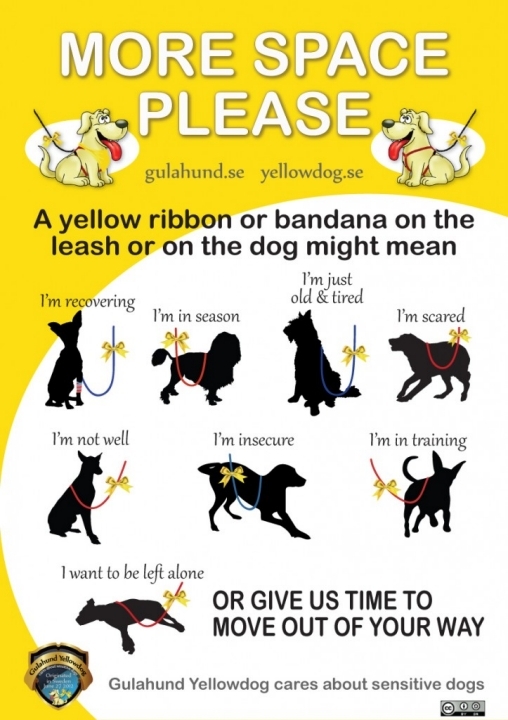 There are a multitude of reasons to give any dog space and by placing the yellow ribbon in plain site people will know that your dog needs space. A diagnosis of aggression in a dog can be a fatal sentencing, especially if that canine is with a family that doesn’t want to bother rehabilitating the dog. After all, just as people are not born evil many dogs are not born knowing aggression. 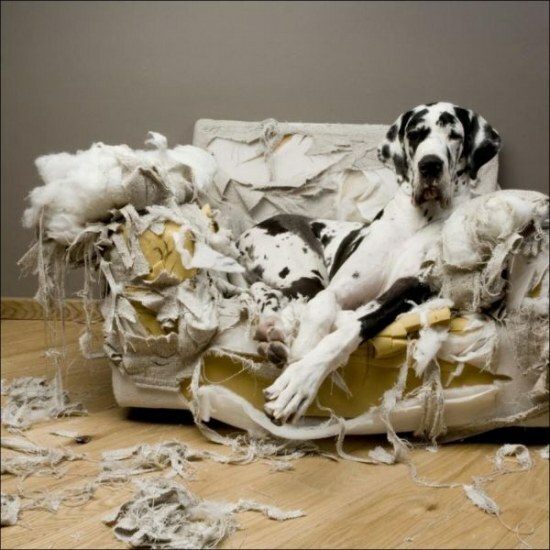 It is a trait that is learned and then reinforced as the dog is able to obtain what they want through this behavior. I pride myself on socializing and training my dogs and both my girls love attention when we are out in public. Loki is a little different and the fact that he is not a social dog complicates his life since he is considered a “flashy border collie”. When we are in public he will approach people but it needs to be his idea and if the people turn toward him he shuts down. When attending social events Loki has never shown aggression and with reassurance his anxiety lessens. The issue came up when I took him to a vet that is local to my home for emergency care on two occasions. The first happened with my roommate when she took him up for a rashy spot on his hindquarter and the vet tech said he tried to bite her when she tried pulling him on the scale. The second time I went after he had a vomiting episode and the tech instantly wanted him muzzled despite the lack of aggressive response. Once dubbed as an aggressive dog the attitude changes toward the canine. I’ve been raised with dogs my whole life, I’ve been around aggressive dogs, and in the past 4 years of working rescue I’ve seen dogs with different levels of aggression come and go. I’m not an expert at dog behavior but I’m fairly confident that Loki, while fearful, has no aggression. I left the vet feeling infuriated and injured. I came to the conclusion that I would never return to that vet and if my boy had a problem I would work with him to help him recover. While I brooded over the possibility of my boy having aggression I made an appointment with Joyce Sobey, K9 Tutor located in Powhatan, VA who I admire and trust her opinion. I told her the back story and my concerns and she began trying to aggravate Loki to see if she could spur him into action. He never once acted out against her, both while I was in sight and out of sight. She told me I had made the correct decision in leaving the vet. There are many different types of aggression and it is important to recognize them. It is also important to approach dogs in the proper way to avoid increased anxiety and stress. The ASPCA has an amazing article on aggression and the varieties of aggression dogs display. Follow the link to read more. Over the last few years I’ve had many people ask if I can help them train their dogs. Until I had my own I never realized the importance of training dogs and many people who have never had a trained dog understand the difference it makes. When I moved in to my current household the family living here (who has since left) had an obnoxious Dachshund and an ill-mannered JRT-Chihuahua mix(they tried to convince me that this dog was a Chihuahua and while a small fraction of it may have been it looked and acted like a JRT). These dogs had no potty training experience and they were certainly never taught manners. I couldn’t believe the amount of requests I had pouring in from people to “help” them retrain their dogs to go potty outside. Being in rescue, many often threatened that they were simply going to have to “get rid” of the dog because they couldn’t train him/her to go potty outside— this only infuriated me. I’m thinking: Hello! Where were you 5 years ago when this cute little puppy needed someone to take it out every 45 minutes to an hour to go potty? Oh, you just little the cute little baby piddle in the floor and cleaned it up? Before I get off on a tangent I’ll say this: many of the small dog owners I’ve talked with have this number one complaint about their dogs. People have a hard time understanding that even though they’ve worked 8-10 hour days or have been out on a shopping binge that when you come home worn out and tired your dog needs EXERCISE! 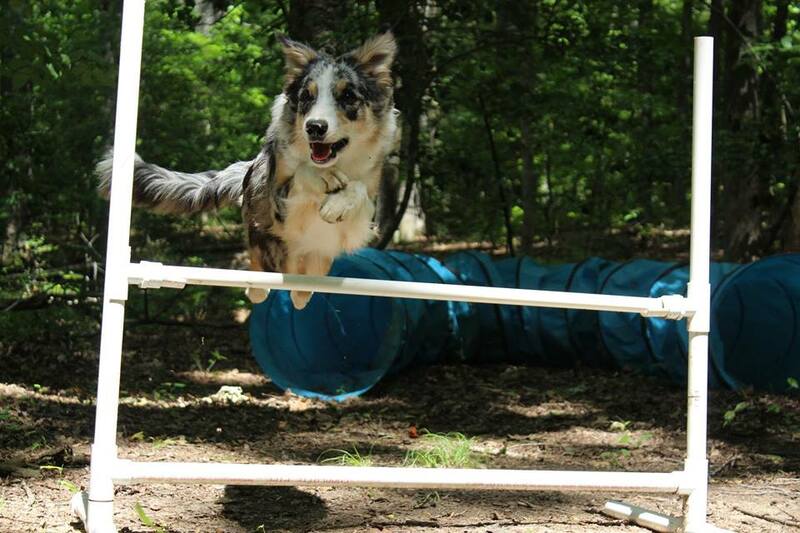 Many breeds are content with 30 minutes of thorough exercise every single day to meet their fulfillment needs. Higher energy breeds require more where toy breeds may require little to none depending on your dog. If Fido doesn’t enjoy fetch or Frisbee taking a stroll through the neighborhood is perfect for many reasons. Dogs love exploring. The more interesting the sights and smells, the better. Exercise. Even if it is a leisurely stroll they are given the ability to walk stretch their legs. Bonding. Nothing strengthens the bond between human and beast than a little one-on-one time with your pup. PLEASE DO NOT use this excuse: “My dog pulls me everywhere”. Simple solution: buy an easy walk harness or gentle lead if you are still working on a loose leash walk with your pup. Have children? Turn off the television and video games and get everyone outside. You, and your pup, will be happier after exercise.